modernization or neglect, it is a troubling loss historically and aesthetically. 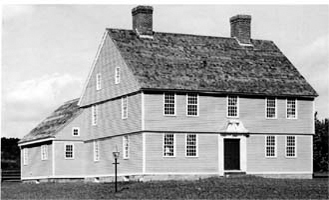 Ensuring the preservation of an original 18th century home is an unusually rewarding and demanding effort. 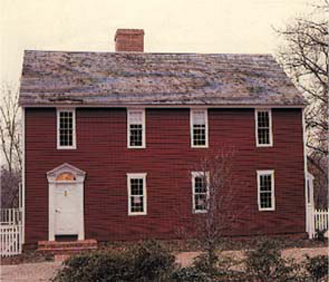 Restoration may involve dismantling and relocating an entire structure or re-creating its original 18th century features and atmosphere at the existing site. In either case, the former integrity and grace of an architectural treasure are recovered for a discerning owner, and for future generations. 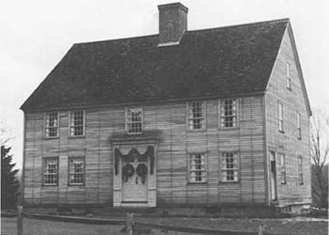 Built in 1784, as it stood prior to dismantling and reconstruction. The building had been raised up 11 feet and turned. The chimney was removed and the facade altered greatly to reflect the Victorian Period. 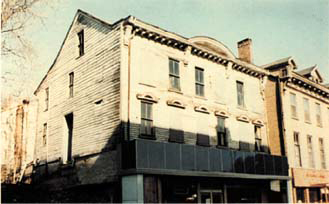 After reconstruction and restoration. A careful analysis of the original framing details of the house enabled us to accompoish a complete and authentic restoration of this fine homestead. During the dismantling process, a map was found of the West Indies dated 1785 inside of the ceiling joist system of the master bedroom. 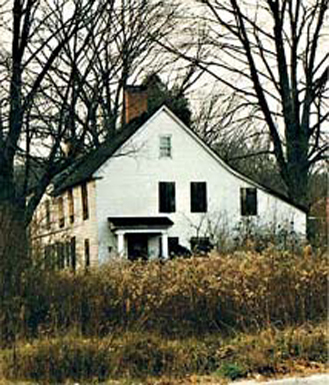 As it stood in Brookfield, Connecticut, prior to restoration. 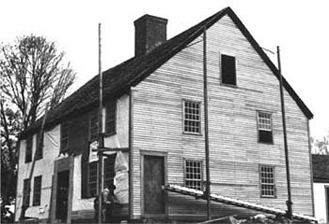 Relocated and restored at the historic Ellsworth Settlement in Windsor, Connecticut. 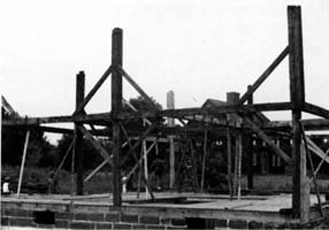 The original post and beam frame being reconstructed at the new site. This building was slated for demolition, to be razed and replaced by a motel. 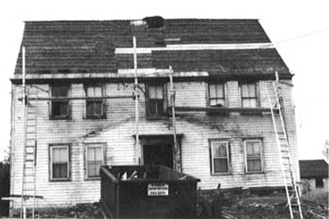 Is was dismantled, board by board, and relocated to Ellsworth Settlement for the continued appreciation of future generations. This house was completely gutted and all interior building components and woodwork detail were numbered, photographed and put into storage while the house underwent complete restoration. An entirely new custom oak floor joist system was put into place and finally the building was pulled forward 4-1/2" from its leaning position. Then the restoration began and was completed in a 14 month time frame. 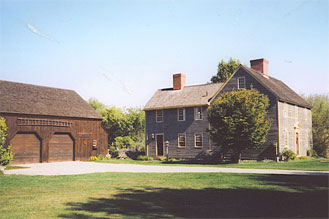 The building set temporarily on house jacks while the original stone foundation was built beneath it. 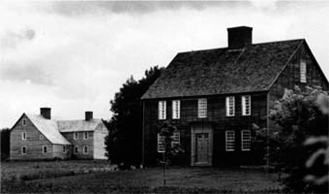 The focal point house, and hence the namesake of Ellsworth Settlement in Windsor, Connecticut. The home is replete with original featurs and was restored on site. 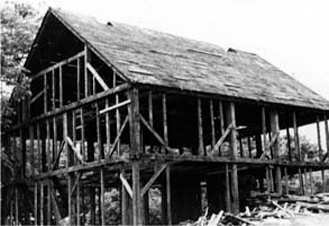 It has been joined by seven other early buildings. All are reconstructed and restored by our company.